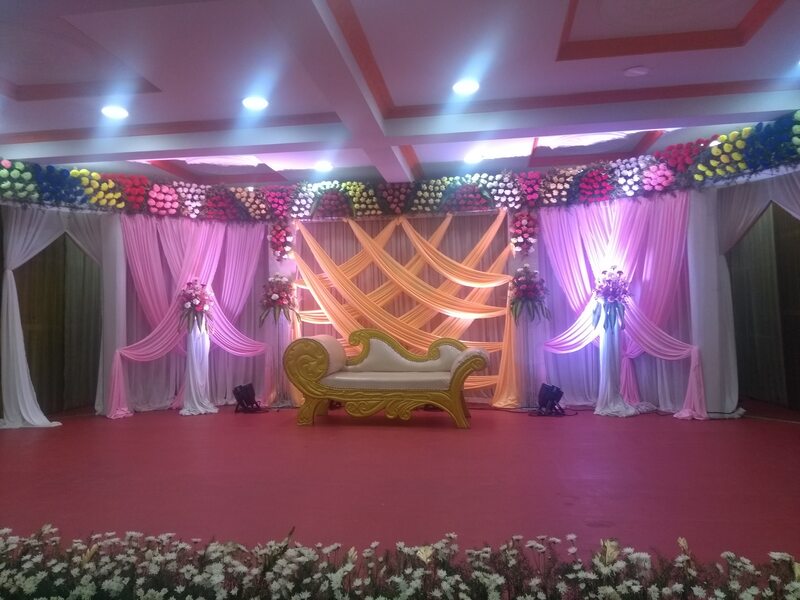 AC Marriage Hall in Chennai; Sri Ammanaa Mahaall is fully centralized Ac l seating capacity of Marriage Hall 700 persons, Dining Haall fully centralized AC capacity of 200 persons.10 AC spacious Rooms with bath attached along , with one Dormentory, 100 persons can stay.Lift , car parking avaIlable, Making Decorations . for Reception & Marriage by Real flowers in a rich look.Nearer to Mogappiar East, Mogappiar west, Annanagar East, Annanagar West, Ambattur& Koyambedu. Please contact 9282230380.